If you’re constantly reapplying an expensive moisturizer, but eating a high-sugar diet, you could be wasting your money. When our bodies metabolize glucose from our diets, they produce advanced glycation end products (AGEs). These AGEs make skin look older. The researchers knew that when our bodies metabolize glucose from our diets, they produce advanced glycation end products (appropriately called AGEs for short). 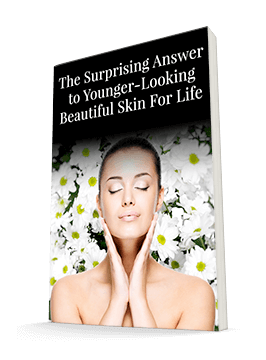 They also knew that these AGEs made skin look older. So they wanted to determine what exactly was going on in skin that was under assault from these AGEs. In order to do this, they excised mouse skin and exposed it to AGEs. Then they measured how well the skin was functioning as a barrier based on how much water it let out and how much sodium fluorescein it let in. The researchers found significant disruptions in both how much water the skin released and how much sodium fluorescein it let in, indicating that the barrier wasn't functioning well in either direction. The skin's barrier function is important for keeping pollutants out of the deeper levels of your skin. That's where they can cause additional damage and break down your collagen. And you probably already know how important water retention is to both the health and appearance of your skin. In fact, the loss of moisture is probably the biggest reason that AGEs age you. Sugar dehydrates the skin. So if you're going to eat a sweet, make sure it's followed by some good old-fashioned water. At least the sugar will be slightly diluted and you will rehydrate. If you're constantly reapplying an expensive moisturizer, but eating a high-sugar diet, you could be wasting your money. Your skin simply won't be able to hold onto the moisture you're trying to give it. Products that deliver moisture to your skin will work far more effectively if your diet isn't working against them. If you must eat some sugar from time to time, consider a daily application of Vitamin C Serum. Using vitamin C topically with hyaluronic acid will help fight against the development and accumulation of AGEs. Keeping the AGEs away will lead to a more beautiful complexion.